A safe space for creative leaps. Art as Action emboldens the distinct, rare creativity deep within each individual. Art as Action champions the communal, universal, healing language of ART. Dance has a reputation of being available to a select few: those blessed with a particular body type, the privilege of expensive training and the rare talent to master challenging technique. 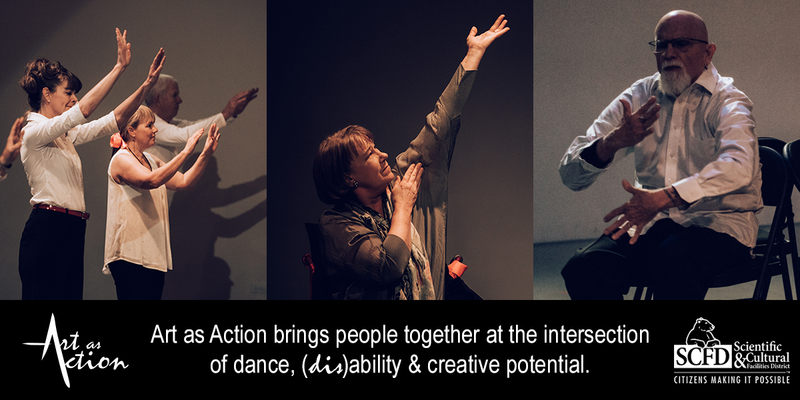 Every Monday & Wednesday afternoon, an unlikely group of dancers comes together and defies convention to revel in the healing powers of dance that are beneficial and enjoyable for every body, including those with Parkinson’s disease. Reconnect with your Body classes empower participants to discover new ways to move by teaching how to think like a dancer, connect with your breath and find radical compassion for often ailing body parts.